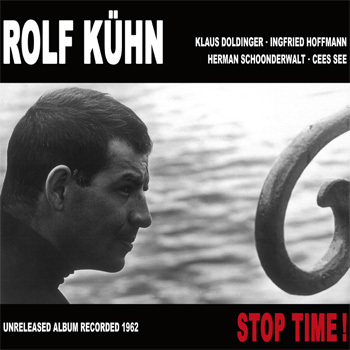 ROLF KÜHN - STOP TIME ! Of time capsules and memory sources of frozen time - Stop Time! June 1962 in Hamburg. In the studio of NDR (Norddeutscher Rundfunk), the equipment is already set up: microphones, cables, a drum set and a Hammond B3 organ. Just the year before, Rolf Kühn had returned from New York. Henri Regnier, musical director of the NDR, made him the offer to invite musicians of his personal choice every month for recordings and a later presentation of the results in Regnier`s radio show. Three studio days a month for free, moreover, with a generous budget for fees and travel costs - a carte blanche for Rolf Kühn. Already he has ideas of how to combine musicians, what pieces are to be played and especially how. For this recording, he wants the young tenor saxophonist Klaus Doldinger who he had recently heard for the first time at the Nuremberg Jazz Festival. He is enthusiastic about the big and powerful saxophone sound of the just turned 26 year old, who had previously played clarinet in a Dixieland band. Doldinger still has made no recording under his own name and only after the NDR session with Rolf Kühn, the record company Philips releases his first album "Doldinger - Jazz Made in Germany". Kühn had already met Dutch drummer Cees See at festivals and in the recording studio, as well as the clarinetist and saxophonist Herman Schoonderwalt, who had been regularly awarded at the time in the polls as the best Dutch baritone saxophonist, but also plays an outstanding bass. Just this little-known side of Schoonderwalt is interesting for Kühn and the reason for inviting him to the recording session as a bassist. One who plays bass with the feeling of a clarinetist. In contrast to that stands jazz organist Ingfried Hoffmann, who - along with Doldinger - had so far also been playing Dixieland jazz in the band "The Feet Warmers". Now this is far from the Dixieland style. Rolf Kühn already knows how the music should sound. In addition to classic jazz standards he has arranged Modern Jazz compositions for the group and has written his own material. It is an exciting new music for that time in Germany, during the early sixties, just seventeen years after the end of World War II. It is edgy, direct and demanding - and it is fast. 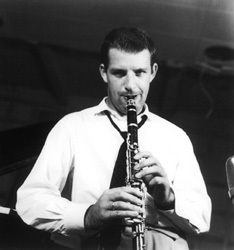 Kühn had already met the clarinetist Buddy DeFranco in Berlin in the early 1950s, who had transferred the double time-runs of alto saxophonist Charlie Parker to the clarinet and played bebop. For a German generation accustomed to the genre of swing, the new music sounded strange, but with the meeting of DeFranco and the years in New York, Kühn finally became a Master in this field. He knows exactly what he wants. The musicians play a sequence, then it starts. Kühn's hands move faster and faster over the flaps of the clarinet, while Doldinger`s flowing lines of sound and the drum and bass figures of Cees See and Herman Schoonderwalt measure the structure of tone sequences with razor-sharp precision, highly chased by the storming Hammond organ sounds of Ingfried Hoffmann. And then it stops. Suddenly. Stop Time. 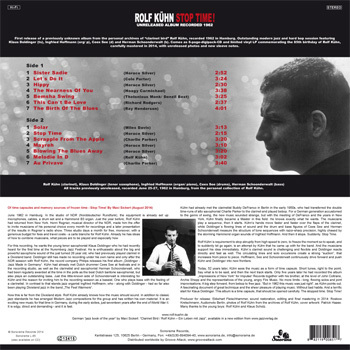 Rolf Kühn`s requirement to stop abruptly from high speed to zero, to freeze the moment so to speak, and to suddenly let go again, is an attempt by Kühn that he came up with for the band. And the musicians support his idea immediately. Kühn`s clarinet sound is challenging and flexible and Doldinger reacts directly and fast as well. The circulating lines and solo excursions create a strong “suction”, that increases from piece to piece. Hoffmann, See and Schoonderwalt continuously drive forward and push Kühn and Doldinger into new frontiers. 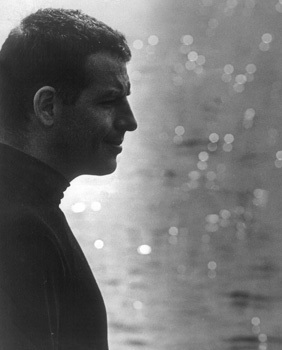 Today, 52 years later, Kühn sees the music as a form of time capsule. Short tunes, right to the point. Say what is to be said, and then the next track starts. Only five years later he had recorded the album "Impressions of New York" for Impulse! Records together with his brother, at the level of John Coltrane, Archie Shepp and the representatives of the young, angry Fire Music. No more limits - long, flowing solos and joint improvisations. A big step forward, from bebop to free jazz. “But in 1962 this music was just right”, as Kühn points out. A fascinating document of great technique and the sheer pleasure of playing music. Without bad habits. And a terrific start for Klaus Doldinger. This album is a time capsule, that should be opened carefully. The stopped time. Stop Time! cover artwork: Patrick Haase. Many thanks to the young boys: Rolf Kühn and Klaus Scholz.